The site is very close to Liverpool John Lennon airport and we are pleased to say, one of a number of sites that we have been involved on with this client, including 3 in Speke alone. The range of uses that have been considered for this and other local sites include all aspects of commercial and residential development. Leisure, Retail units of all types, high density affordable housing, residential care homes, and nursing homes have all figured at some stage. 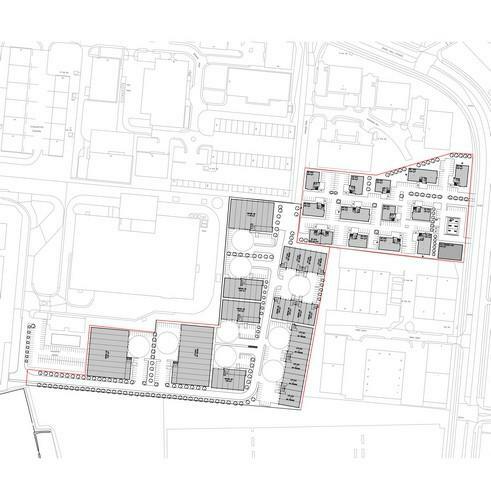 Eventually, an outline planning application was progressed for a scheme that included B1 office and B2 B8 industrial space, a hotel, a nursery and two car show rooms. Due to the nature of the local authority’s application process detailed levels of information were required.